Fabian Brosig, member of the Emmy Noether Research Group "Descartes" (Dr. Kounev), received his PhD. Congratulations! Dr.-Ing. 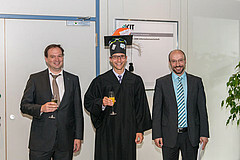 Fabian Brosig successfully passed his defence on 2014-10-07.